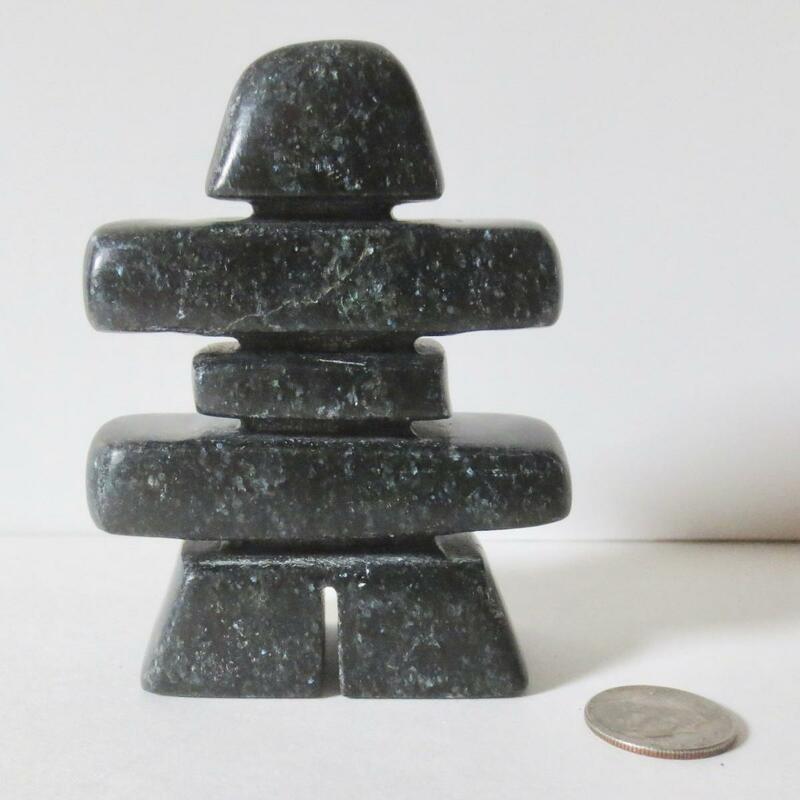 This little Inukshuk by Joe Obed, Inuit is of black serpentine stone - a hard stone to carve. 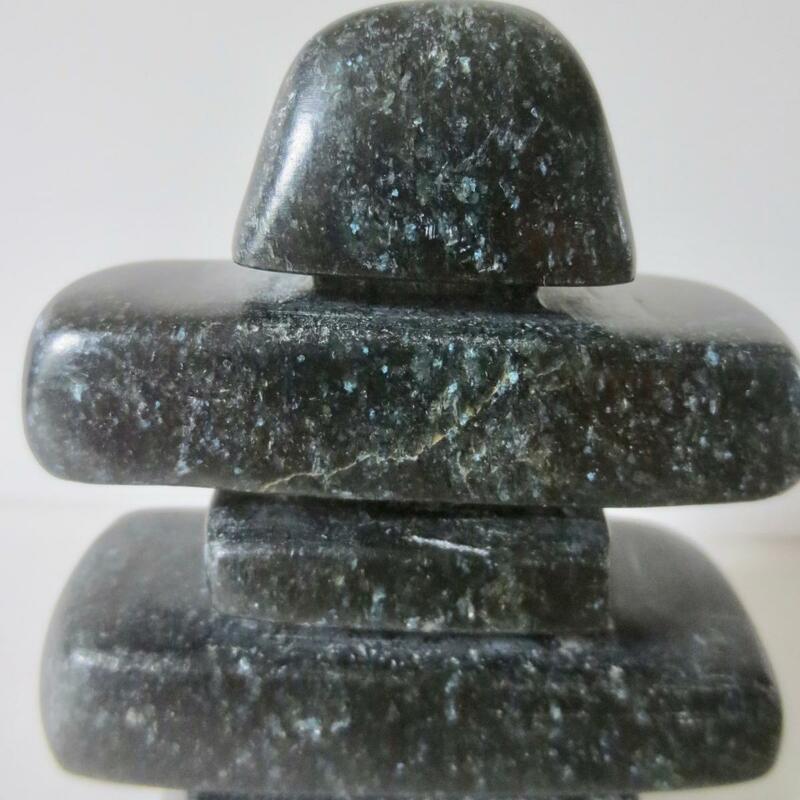 An Inukshuk is a structure of rough stones stacked in the form of a human figure, traditionally used by Inuit people as a landmark or a commemorative sign. 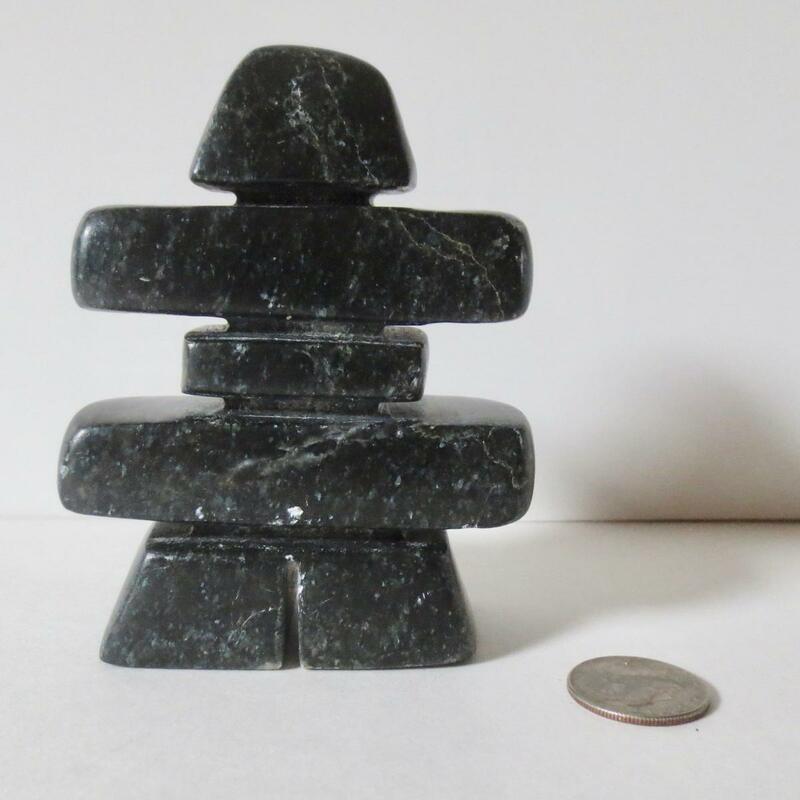 The full size Inukshuk are built throughout the arctic in the most northern areas of North American (including Canada). 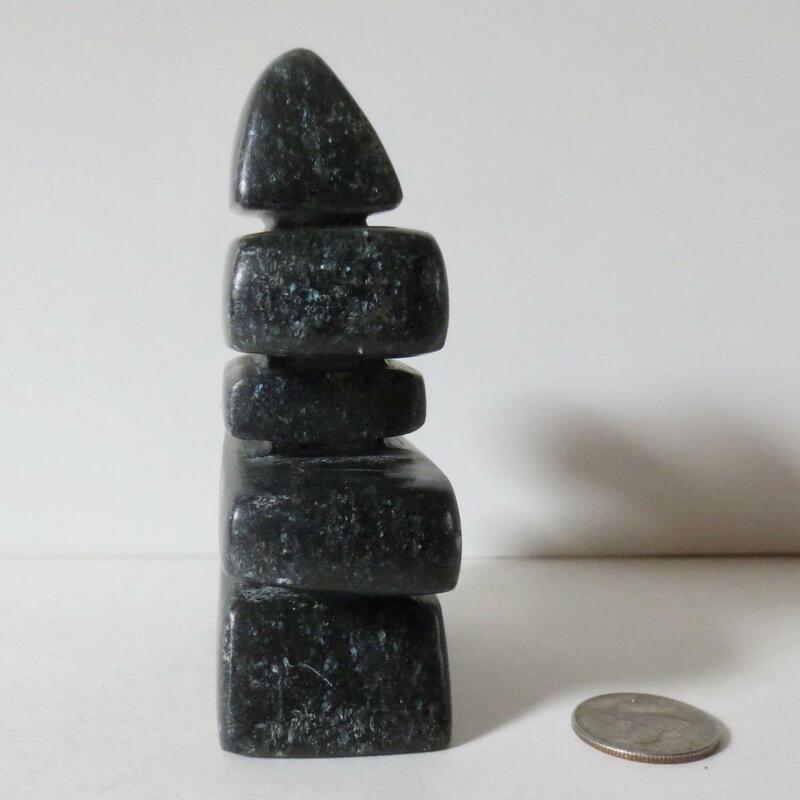 They can be seen for miles on the treeless terrain and serve as guideposts as well as sometimes memorials.